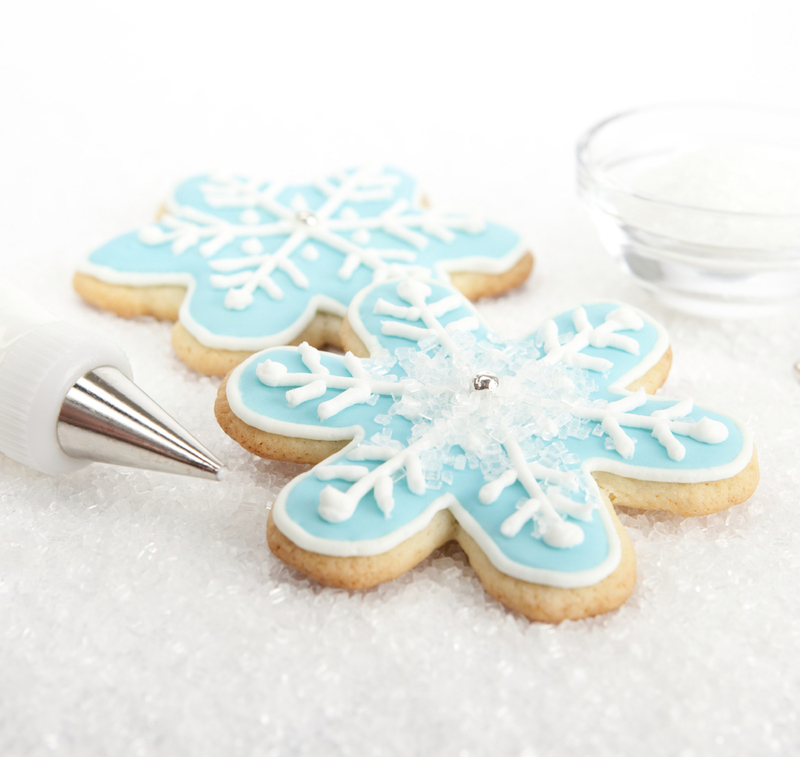 For a Christmas sugar cookie that's extra tender, try using shortening instead of butter. In a large mixing bowl beat together shortening and sugar. Add eggs, milk and vanilla and beat well. In a separate bowl, stir together flour, baking powder, baking soda and salt. Add to shortening mixture and beat until well combined. Cover and refrigerate 2 hours or overnight. Divide the dough into quarters. Dust work surface with flour. Roll each quarter 1/8-inch thick, cut with cookie cutters and place on a parchment paper-lined cookie sheet. Bake in a preheated 350 degrees oven for 9 to 11 minutes. Remove cookies to wire rack to cool. Frost with Sugar Cookie Frosting, if desired.